4-Word Review: He has an affair. Harry MacKenzie (Gene Hackman) is a steel mill worker living in Seattle who has just turned 50. On the night of his birthday Kate (Ellen Burstyn), his wife of 30 years, tells him that he can go by himself to the local tavern to celebrate as she is not into the drinking. When he does he meets Audrey (Ann-Margret) who has just started working there. The two immediately hit-it-off and soon are in a relationship. When Harry finally tells his wife and family about it they are devastated, but learn to cope with it in unexpected ways. The way Harry and Audrey’s relationship begins is too rushed as he simply spots her in a crowd and then quickly becomes entranced. If eyeing an attractive woman is all that it took then he should’ve been having a string of affairs way before this one. Making Audrey more of the instigator while Harry remained hesitant only to later realize how stale his marriage had gotten once the relationship started would’ve worked better. There is also no indication at the beginning that there was anything wrong with his marriage or that he was even bored with it. It should’ve opened with Harry simply coming home one day and admitting to the affair and then focusing on everyone’s reactions, which would’ve been less contrived. I was also annoyed that two key scenes including when Kate first gets informed of the affair by a friend as well as Kate’s later confrontation with Harry are not shown. The film just cuts away before either of these conversations gets going, which to me was frustrating. The second half is an improvement. I liked how the film sends the message that divorce isn’t always bad, but instead can act like a rebirth for both parties. I also enjoyed the on-location scenery of the Pacific Northwest and seeing Harry and Audrey sitting amongst a crowd at an actual Seattle Seahawks football game. It was also great having Hackman playing a character that lacked confidence and at times was even socially awkward, but it’s Burstyn’s performance that really makes it special. Watching her shy character coming out-of- her-shell and learning to become independent is the film’s highlight. Unfortunately Amy Madigan as the eldest daughter is a turn-off as her angry outbursts come off as forced and overdone while the much quieter Ally Sheedy as the other daughter is far better. 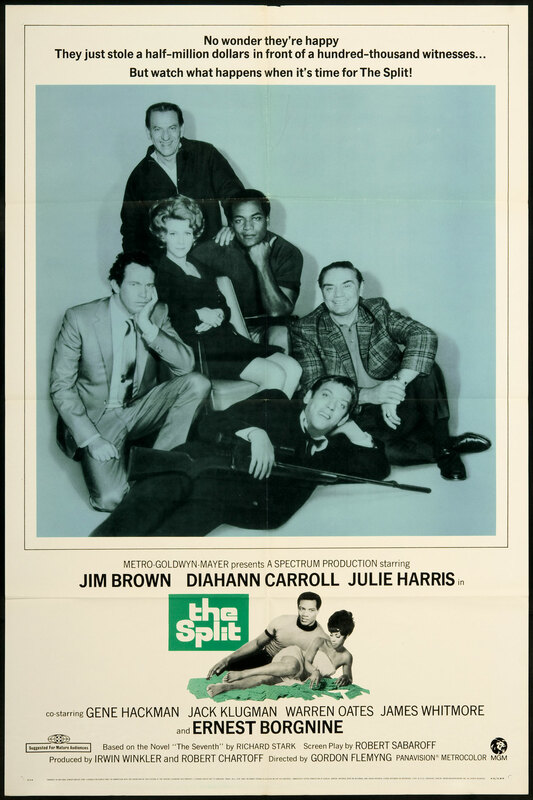 Surprisingly no studio would agree to finance the picture even though the script was written by Colin Welland who had just won the Academy Award four years earlier for the film Chariots of Fire, so director Bud Yorkin was forced to put up his own money by using the earnings he had made through producing ‘All in the Family’, which helps explain why a clip from that show gets seen briefly. It could also be the reason why the production at times has a cheap look to it and like it had originally been shot of video and then later transferred to film. Paul McCartney, whom I’m a big fan of, does the closing tune, which unfortunately has to be the worst of his career. 4-Word Review: Astronauts stranded in space. Unfortunately this film’s biggest claim to fame is that it is the only movie nominated for an Academy Award to be shown on ‘Mystery Science Theater 3000’. As much as I enjoy that show I think it is unfair to throw this movie into the pile and make fun of it as I think it holds-up well and is a solid space drama. 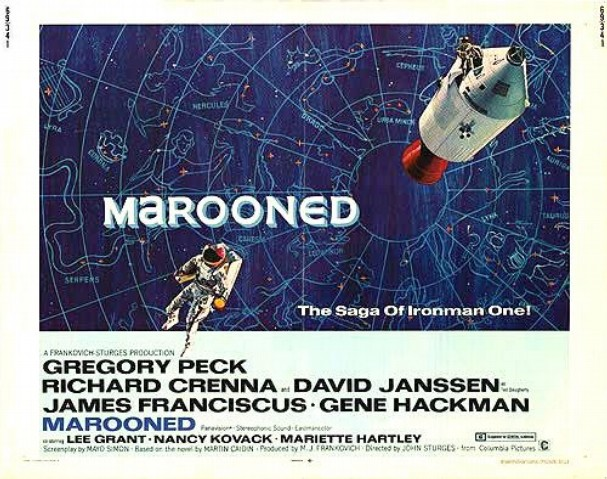 The story based on the novel by Martin Caidin is about three astronauts (Richard Crenna, Gene Hackman, James Franciscus) who have been orbiting the earth for several months in a space lab, but as they try to return to earth they find that their retro rocket won’t fire and they’re stranded. 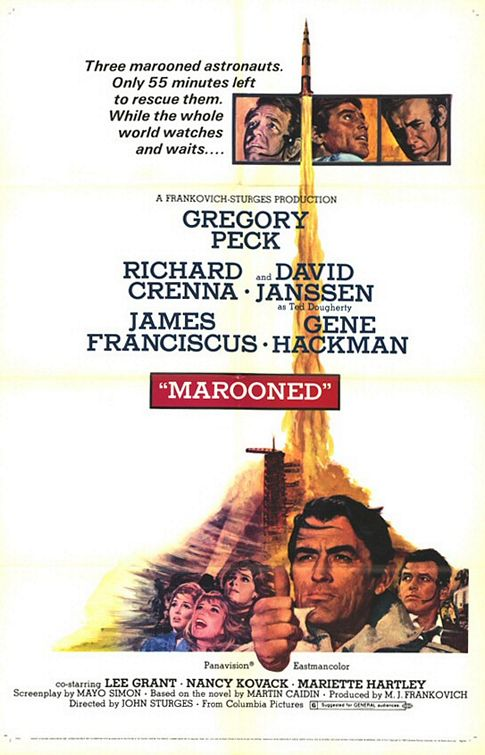 Initially NASA, which is headed by Charles Keith (Gregory Peck) decide they have no alternative but to leave them there however, Ted Daugherty (David Janssen) puts up enough of a raucous that they decide to allow him to head a rescue mission. An impending hurricane and the astronaut’s dwindling supply of oxygen all cause further problems and force everyone to work at break-neck speed to pull it off. One of the things that grabbed me initially was the lack of music. Instead we just here beeping sounds of a computer and the hum of a rocket during the opening credits, which helps give the film a futuristic and distinctive flair. I also liked the cool sounding hum that the viewer hears every time the men are outside of their capsule and in space. It has kind of a hypnotic tone to it and makes things a bit surreal. The special effects were decent for its era. You do have to forgive it a little particularly the scenes showing the rocket and men floating in space, which were clearly matted over a blue screen, but at least when the men are shown floating around with no gravity there are no visible strings. My favorite moment out of the entire film is when one of the men goes floating off motionless into the dark abyss while the other two watch solemnly from the capsule door. The narrative could have been handled better. Instead of starting things out right away with the rocket taking the men off into space I felt there should have been more of a backstory to the main characters so we got to know them better and felt more empathy to their predicament. Even having flashbacks of the characters at different times in their life dotted throughout the film would have helped make them seem less cardboard. The scenes involving all three wives of the astronauts (Nancy Kovack, Mariette Hartley, Lee Grant) talking to their respective husbands via satellite just before the rescue mission takes off becomes too extended, predictable and maudlin. However, the scene involving the conversation that the astronauts have amongst themselves when it is learned that there isn’t enough oxygen for all three and one of them must be willing to die to save the other two I found to be gripping and compelling. Peck is as usual incredibly stiff and delivers his lines like he is preaching some sort of sermon. Here though his style works with a character that is no-nonsense and locked into being completely practical at all times. His looks of nervousness as the rescue rocket gets ready to take off are great as is his delicate conversation that he has with Crenna involving which of them must sacrifice their life for the other two. Hackman is solid as usual playing an emotional Gus Grissom-like character, but he has played these roles so much it would have been interesting to see him play one of parts that required more restraint. The beautiful and talented Grant is wasted in a non-distinguished role as one of the wives, but her line about ‘the girls’ leaving the men alone so they can get back to their jobs seemed incredibly sexist especially from her. The rescue mission is exciting, but excruciating and the ending is way too abrupt. However, my biggest complaint about this film that I otherwise find to be realistically and plausibly handled is that no explanation is ever given for why the rockets failed to fire, which I felt there should have been especially since there is a moment showing the green light on their dashboard stating that the rockets did fire and this light mysteriously stays on even when they shut down the power to the rest of the cabinet.